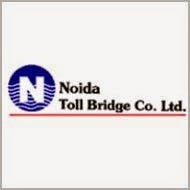 Noida Toll Bridge is a special purpose vehicle promoted by IL & FS and New Okhla Industrial Development Authority (NOIDA) to operate the Delhi-Noida-Delhi flyway on a Build-Own-Operate-Transfer (BOOT) basis. The lease term is for 30 years, till 2028 and can be extended based on the terms of agreements which can be read in the annual report. It is the most used path for commuters between Delhi and Noida. With ever increasing traffic, one can expect it's revenues to keep increasing. Toll Bridges involve a one time capital expenditure of constructing the road and then the cash keeps flowing in. The toll rates keep increasing with the inflationary trends and the traffic keeps increasing till the 100% capacity is reached. Added to this is the advertisement revenue the company gets to keep for hardly any cost. The only major expenses to be incurred in foreseeable circumstances would be regular maintenance activities, employee costs, finance costs, etc. The toll bridge didn't see the expected traffic till 2007-08 and those were the times it had heavy debts of around Rs. 300 Crores in it's books. The traffic growth has picked up since then and the debt is down to just 8% of what it was back then as we shall be seeing in the financials. To be clear, Noida Toll won't be a big multibagger, but it has all potential to be a safe compounder of 10%-12% annually for the coming decade. We cannot expect the traffic to be growing at 10% every year. Infact, as years progress, the traffic growth will slow down. Toll bridges are a bit complicated to value as it involves a fair amount of time to dig into the lines of agreements for events that could have a major impact. The 5 year CAGR of revenue and profits both stands at 9.8%. The Operating Profit Margin stands at 74% for FY 13-14. Historically too, the margin has most of the time been above 70%. Increase in toll fares are usually met with resistance with protests from the common man but eventually do happen annually. The bridge is a good cash generating machine as you have to first pay and then you are allowed to pass. So virtually no debtors from the toll part. Advertisement revenue will keep increasing year on year. The company has got it's debt down to Rs. 19.5 Crores (Long Term). Management has stressed on their plans to make the company debt free and increase the dividend payout. It's a positive noting that the stock currently trades at a yield of roughly 3%. We have performed a Discounted Cash Flow analysis for the stock by assuming a traffic growth rate of 8% till March '17, 5% till March '19 and 3% till Mar '28. Toll rate hike has been assumed to be 5% annually. Also, advertisement income increase has been assumed at 5%. Other Income has been assumed to be 3 Crores annually till Mar '28. The discount rate has been taken at 11%. Dividend payout has been assumed to be 85% from March '16. Also, going by the management's statement we have assumed the co. will be debt free by FY 15-16. Other assumptions include no major maintenance work, tax rate will be maintained at 33% till 2028 (Very conservative), OPM of 71%. Based on the above, we derive a value of Rs. 38-39 on the stock. Further more, by discounting future dividend payouts, we derive a fair value of Rs. 36. Thus currently trading at 33, the stock is undervalued and makes a good addition to the portfolio. We expect the stock to be a 10% compounder annually excluding the dividends. Overall, this is a good portfolio addition for the investors who have a long view of atleast 5 years. One can allocate 4% of the portfolio to this stock and hold with patience. i) The company's concession agreement assures a 20% return on the project and in case of shortfall, it gets a claim of the 99 acres land around the toll. The land is valued at Rs. 300 Crores. This point has not been taken into considertaion. ii) Some factors which might be the reason for stagnating traffic growth: Delhi-Noida Metro which will decrease the commuters using road as Metro is much more cheaper and comfortable. However a growing industrial presence at Noida will not let the growth to go into negative. iii) Overall, valuation has been done on a conservative basis as there is not much clarity over terms of agreement. However, we maintain our view that this company is a CASH cow and a pure dividend play. iv) As rate of growth will be around 10%, the P/E assigned to the company from our side will be 10. We had advised the stock personally to some people at Rs. 20-21 and maintain our bullish view even at current levels of 33.